Boston, August 6, 2013 — Michelle Wu, candidate for Boston City Council At-Large, visited thirteen neighborhoods in Boston yesterday, Monday, August 5, as she released “50 ideas for Boston Families: Pipelines to Opportunity” to mark 50 days remaining until the September 24th Preliminary Election. 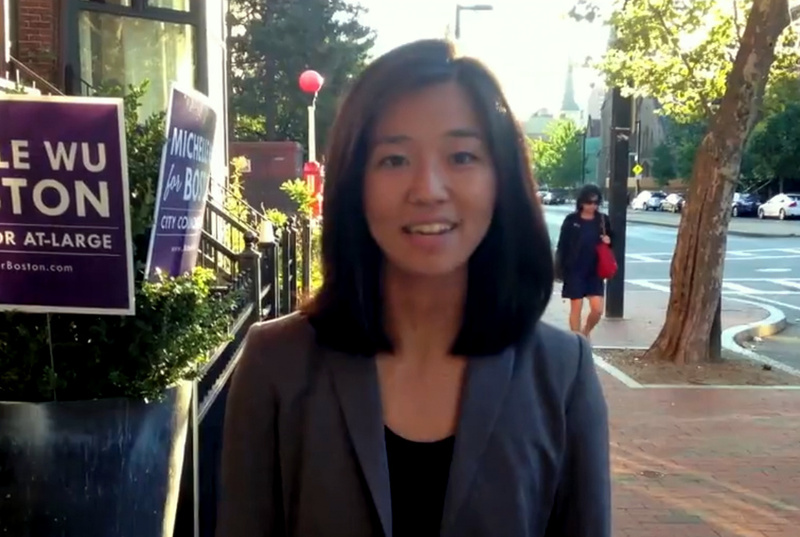 Michelle Wu started Monday’s tour at 6:30 AM in South End. In Chinatown, Michelle visited the Boston Chinatown Neighborhood Center, where she highlighted the need to increase access to affordable childcare. In her list of 50 Ideas, Michelle suggests that the prohibitively high cost of quality early education and childcare forces some parents, often mothers, to leave the workforce and stay at home to care for their children, making it difficult to reenter the workforce later on. A full list of Monday’s stops is below. Dined at Village Sushi with supporters in Roslindale to discuss Pipelines to Opportunity, connecting education and employment.